Our Savoie infatuation continues with this crisp, delicate white from the northeastern part of the Vin de Savoie appellation. The cru Ripaille lies just outside Thonon-les-Bains, a mere 4 kilometers from Evian-les-Bains where the famous water is bottled. 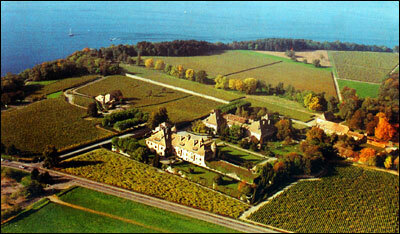 Both towns lie along Lac Léman (Lake Geneva, if you like), about a 75-minute drive from Geneva, Switzerland. The history of the property is well-documented. There was a Roman villa with vines on the grounds from the first to the fourth centuries. Bonne de Bourbon built a hunting lodge here at the end of the 14th century. 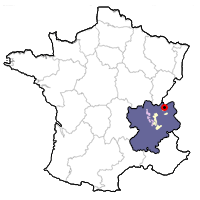 The area surrounding the Château de Ripaille was used as the hunting grounds for the Comtes de Savoie and eventually became their preferred place of residence. In 1434, Amédée VIII, the first Duc de Savoie who later became the last antipope in the history of the Catholic Church and reigned as Felix V from 1439 to 1449, built the château. It originally had seven towers, of which four still exist. At the end of the 15th century the property was occupied by invading Swiss, and records show that they sent wine in barrel back to Berne. 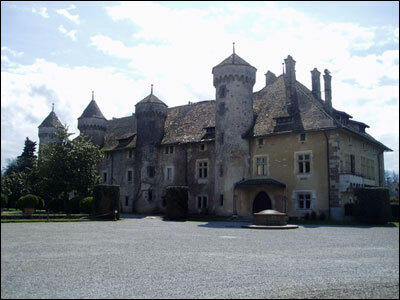 Although known as a religious retreat for church officials, Château de Ripaille became the center of the brilliant culture of the Savoie, an important European state. Famous writers, musicians, princes and emperors alike feasted on the succulent dishes of Maître Chiquart, chef of Amédée VIII, and drank the property's famous wine. After the wars of the reformation, Saint François de Sales intervened and Ripaille became for two centuries a Carthusian monastery, protected from the world by its formidable walls. 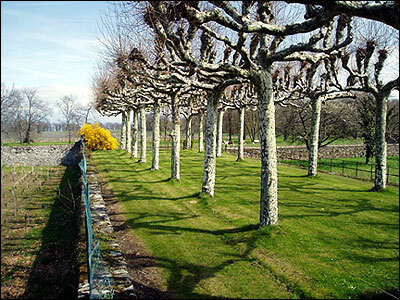 After the French Revolution, the estate was sold to Général Dupas of Evian who retired there after the Napoleonic wars. In 1892, the site, in ruin, was restored and rehabilitated by Frédéric Engel-Gros of Mulhouse, a textile factory owner. With the help of noted architect Charles Schule and ten years of painstaking work, the château was restored to the condition in which it is found today. The buildings were restored to their original state and a never finished 17th century church was replaced by a French garden. The château itself, once standing in ruin, was renovated in a style of a remarkable combination of Medieval and Art Nouveau. 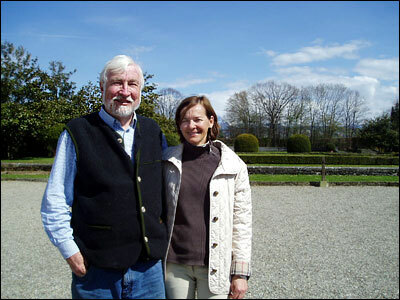 Their descendents, the Necker-Engel family, still own the Château de Ripaille. In 1976, Madame Harold Necker, with government assistance, created the Ripaille foundation to conserve and maintain its legacy. Today the château is owned by Louis Necker and his French-Canadian wife Paule. Ripaille was designated in 1994 by the National Culinary Arts Council as one of the 100 sites remarquables du goût in France. 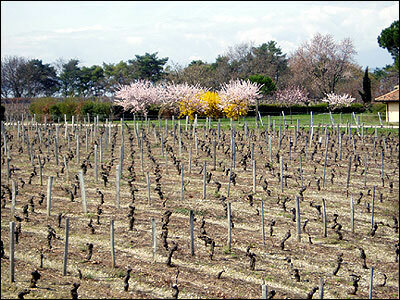 The château is surrounded by 21 hectares (52 acres) of vines, which produce about 160,000 bottles of wine a year. The vineyards are on fairly flat ground, which gently slopes toward the lake. The soil is stony, with sun-baked glacial deposits, mostly limestone, brought down by the Dranse River. All the vines on the property are of theChasselas variety. Chasselas is the oldest known grape variety, originally coming from Egypt where records indicate its presence 5,000 years ago. It is widely planted in Switzerland, where it is known as Fendant, as well as in the unsung Pouilly-sur-Loire appellation and in Alsace.Chasselas is also popular in France as a table grape. Harvest is done manually at the château, and the wine is aged in stainless-steel. All the wine goes through malolactic fermentation, as is normally the case with Swiss wines. The resultant wine is pale in color with an intriguing nose that combines creamy mineral notes with a touch of quinine. The wine is medium-bodied, with additional hints of lime, almond and dried peach. This wine shows excellent value and like wines made with the Jacquère grape, are perfect for warm weather sipping, or to accompany chicken salads, sole filets, shellfish, cheeses (raclette, emmental, gruyère, tomme de Savoie) and, of course, fondue.